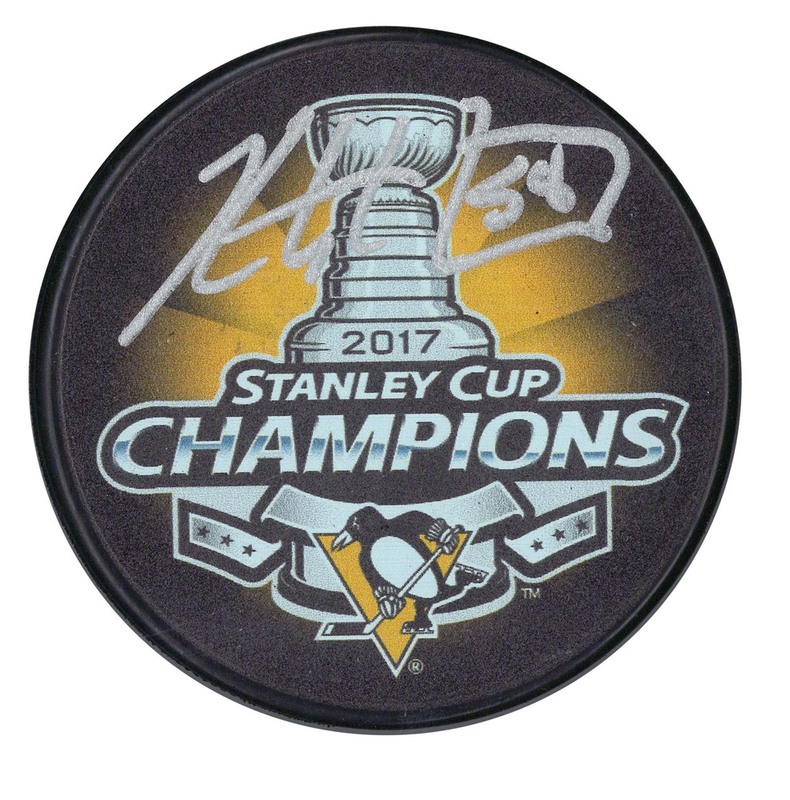 This puck features a logo commemorating the Pittsburgh Penguins 2017 Stanley Cup victory over the Nashville Predators and was hand signed by all-star defenseman Kris Letang. Pittsburgh won the Stanley Cup previously the season before making this the second time that they have won back to back Championships. The other time was in 1991, 1992 when they had Mario Lemieux and Jaromir Jagr. This NHL & NHLPA officially licensed product comes with a Frameworth hologram and a certificate of authenticity.